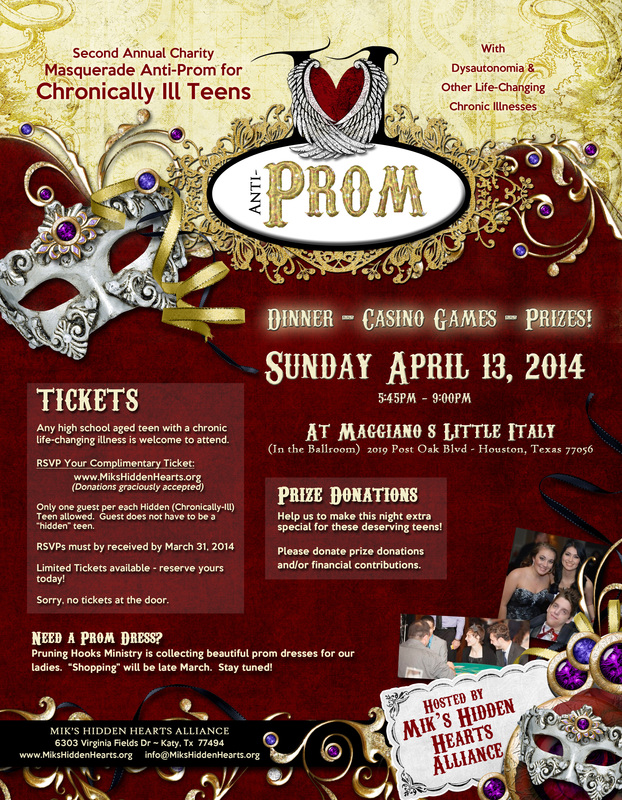 Chronically-Ill Teens Prom – RSVPs Due Tomorrow! Dinner, Prizes and a Great Time! 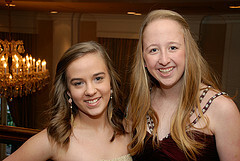 RSVP due tomorrow for Anti-PROM for chronically-ill teens! Sorry, no tickets available at the door. Chronically-ill teens Anti-PROM is almost here! We need your rsvp (and your guest if applicable) by tomorrow! We want to accommodate as many teens as possible so share the news and get your rsvp in today. Click here to register. Sorry, but registering at the door is not available. Giving deserving chronically-ill teens something to smile about and look forward to: Anti-PROM!!! 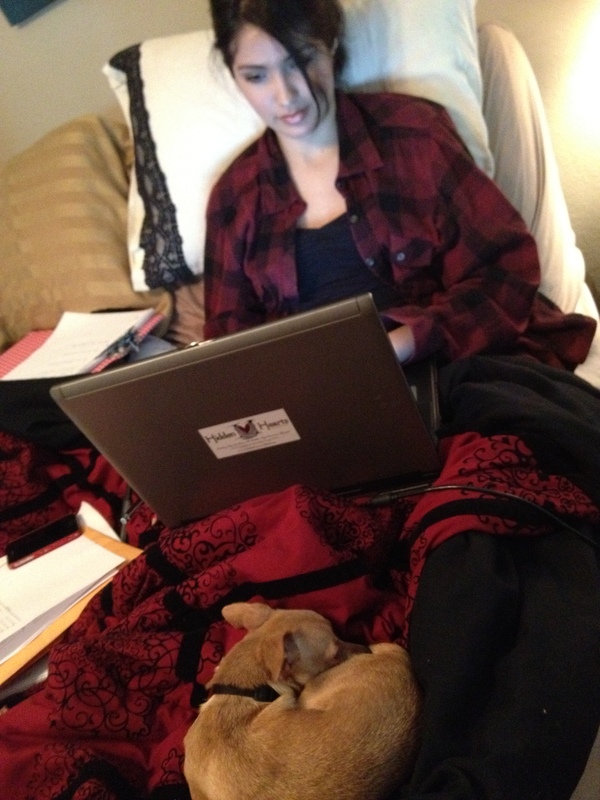 FAQ #8 – If I am not sure if I (chronically ill teen) will bring a guest, do I have to rsvp us both at the same time? Answer: No – Each guest needs to rsvp separately – regardless if they are a “hidden” teen or guest. However, upon registering guests must include the name of the hidden teen they will be attending with. Get your rsvp in as soon as possible so you do not miss out. Then, if you decide to bring a guest, you can have them (or you) rsvp online at that time. **All rsvps need to be received by April 1st. Click here to register. So help us to reach as many deserving teens as possible – spread the news! Get the word out to deserving chronically-ill teens! Just because you maybe homebound or frequently hospitalized – missing alot of school – does not mean you should miss a traditional teen high school experience like Prom! Who is Mik’s Hidden Hearts Alliance Anti-Prom for? Any high school age teen who lives with a life-changing debilitating chronic illness like Dysautonomia and other hidden illnesses. (Not just for Juniors and Seniors!) Also, we love our college age mentors who was a hidden teen to attend as well. Contact us for details. Why is it called “Anti-PROM”? Because we think humor is the best medicine and kindly tease that our chronically-ill teens like to do everything backwards (in Mik’s case, dysautonomia likes to put Mik’s autonomic nervous system on hiatus), it is called Anti-PROM because it is the opposite of the “typical prom”. No high school drama. Great music, but no dancing (due to physical limitations of some of our hidden teens). 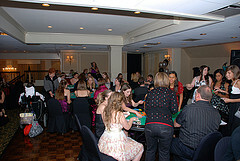 Casino night with tons of prizes. We are a group of includers – not excluders. Do not know anyone at MHHA? We have so much fun at Anti-PROM, I promise you will leave with friends! Where is this being held at? At Maggiano’s in Houston, Texas. Coming from out of town? Message us and we will help direct you to some area hotels. We need prizes for each of our guest attendees! Yes, we want EACH hidden teen to go home with fun prizes!! Items can include: themed gift baskets, gift certificates, individual gift items, etc. We also need a GRAND PRIZE. We are also working on Swag Bags for each guest. Have something to give? Or you have a business you would like to promote and can give from 1 – 125 items? Please message us at info@mikshiddenhearts.org. We also need financial donations. Thanks to our Boo Bash sponsors from October, we have all our basic costs for the Anti-PROM covered. However, we want to go much bigger for these deserving teens than just “basic”. Your financial donation will help this dream come become a reality. 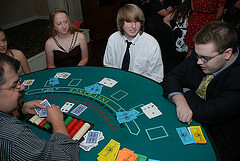 Volunteer: We will be hosting a casino game night for our Anti-Prom hidden teens. Know how to deal? Or can you help with setup / clean? Want to collect donation prizes for us? Whatever you can do, we would appreciate it! Please make sure to contact us here with your availability and preferred area to serve. Get your RSVP in today – Tickets are first come, first serve. Sorry, but registering at the door is not available. Feel free to share the flyer below! Prom Dress Shopping? 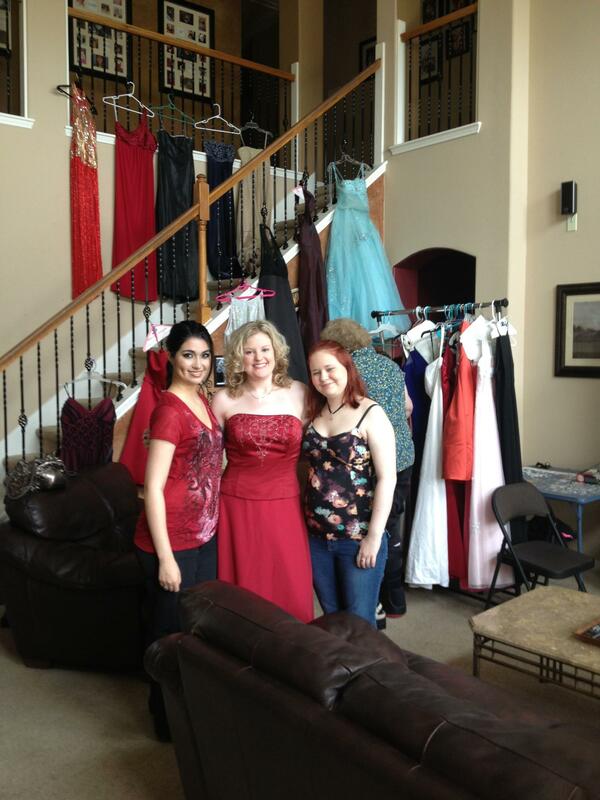 Anti-PROM Ladies – Come shop for your FREE Prom Dress! Need a Prom Dress for this year’s Anti-Prom? We have dozens upon dozens of gorgeous gowns donated by Pruning Hooks Ministries. The big “shopping” day will be THIS Sunday from 2:00 – 4:00 in Old Town Katy, Tx. RSVP here to receive location information. Get your RSVP in today – Tickets are first come, first serve. Sorry, but registering at the door is not available. A wait list is expected due to the demand. 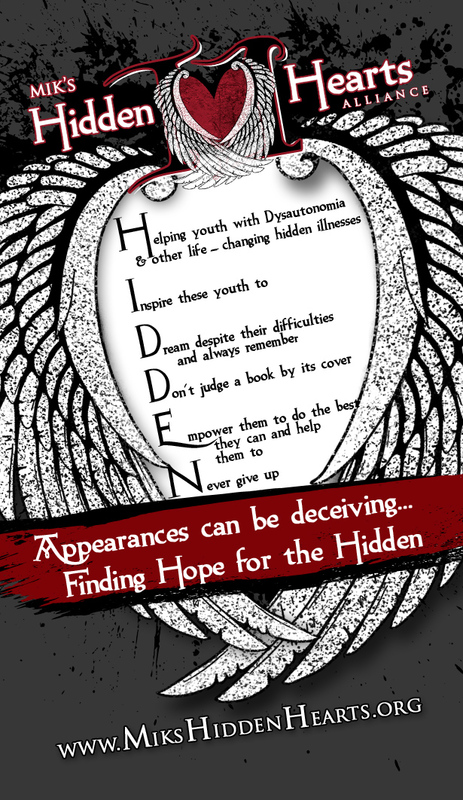 Mik’s Hidden Hearts Alliance is dedicated to bringing positive encouragement to homebound and hospitalized teens who suffer from Dysautonomia and other life-changing chronic illnesses. Hidden Teens – we want to see YOU! RSVPs due April 1st – Space is Limited. Hello all – Mik’s mom here. I am going to completely show my age and quote the classic 1980s teen flick Sixteen Candles. It is in the scene towards the end of the movie, (paraphrased) when all the students were going to the dance. One of the student’s parents forced him to go to the dance – they literally shoved him through the door and closed it. And he responded by beating on the closed door, shouting to his parents, “BUT I WANT TO HANG OUT WITH YOU GUYS”. At Mik’s Hidden Hearts Alliance, through the countless messages we are receiving, we are learning there is a growing trait among hidden (chronically-ill) teens across the country who are just like the guy at the dance in Sixteen Candles. What is this common unspoken trait phenomenon sweeping the nation among chronically ill teens? After spending a long time in and out of hospitals / having difficulty going to school on a regular basis, relating to “normie” (healthy) teens starts to become a challenge – you might, like the guy in Sixteen Candles, actually… GASP… prefer the company of your parents, family and adult friends! We have heard this so much that it is literally becoming an unspoken phenomenon and many question “Am I Normal?”. You hidden teens might find you can identify with “older” people more (the horror!) You might find yourself just unable to relate to some people your own age because of their… ahem… teen drama. Yes, general teen issues for all is important in their world and we should give everyone the grace to understand that we should not play the comparison game with our various inner battles (never want to trivialize that), but as you grow and mature, you realize somethings that you thought were so important prior to your illness (trends, clothes, latest teen gossip, having the latest gadget, where you want to go to Spring Break with your friends, etc) become UNIMPORTANT. Why? Because you begin to wish for the most basic, yet one of the most important, blessings: the gift of health. However, we also agree it is important to find teen friends to socialize with that not only accepts you, but UNDERSTANDS you. As much as I wished I could be Mik’s everything: her mom, her caregiver, her champion, her super BFF (she just loves when I speak Teen Slang!) – I realize humbly… I just can not. I can not fill the gap that true goodhearted friends her age can. Through her illness journey, Mik has met some amazing fellow hidden teen friends. Friends she would not have met if she stayed at home. Friends who make this journey easier because they are here with her. And she wants this kind of support system for all her fellow hidden teens across this country too. That is why Mik continues to push through and work on her ideas to bring socials and events to Houston area chronically ill teens. And this is why she is working with an amazing team of advisor mentors – all specialists in their given fields – to determine the best way to bring MHHA ideas across the country. Houston area – chronically ill teens – RSVP for the Anti-Prom TODAY and share, share, share with other chronically ill teens. MHHA is a very friendly network of chronically-ill teens. Click here for more info. Social Outreach – Outreach program to foster our growing community and to help teens with Dysautonomia and other life-changing hidden chronic illnesses to get out of the home to experience fun classes and “teen experience events” like our annual Anti-Prom! Hope Kits (Click here to nominate a deserving teen!) – Teen-focused gift kits sent across the country to bring hope and the knowledge they are not hidden. Dysautonomia Awareness – Events and community service projects to highlight Dysautonomia and its effects on teens and their families and to encourage more research in this much needed area. Support Network – Hidden teens and their families often feel isolated. MHHA goal is to help bring these families together for support. Hospitalized Teen Programs – Because teens are typically in a children’s hospital, MHHA works to provide teen-focused toiletries, activities, books, gifts and video games to help make their stay more enjoyable. Discover new worlds for FREE! To add on to my popular post 6 Things (chronically ill) Teens should do this Summer, I wanted to add on to my suggestion of checking out free events in your area. For example, we are in the Houston, Texas area and our local library is hosting the following fun class every Monday afternoon. Let’s try to gather our fellow hidden teens and join in at these free events. Let us know if you plan on attending one in your community and hopefully help you link up to others in your area. And, as always, when participating at various events, use your best judgement that works for YOU. Is everyone standing to play a game? Modify it and make sure you sit down. Whatever is your concerns or issues with your illness can be integrated in whatever you would like to participate in. This Monday at 3:30 the teens are traveling through the world of Fairy Tales. Go on a Scavenger Hunt to Grandmother’s house. Participate in sword fighting and an archery contest. Play a life sized chess match. As always snacks will be provided and teens 12-18 are welcome. Posted by Mikaela Aschoff with Mik’s Hidden Hearts Alliance. For more Mik’s Hidden Hearts Alliance updates, check our website at:www.mikshiddenhearts.org or our Facebook page here. We help teens and their families who have Dysautonomia and other life changing hidden illnesses. 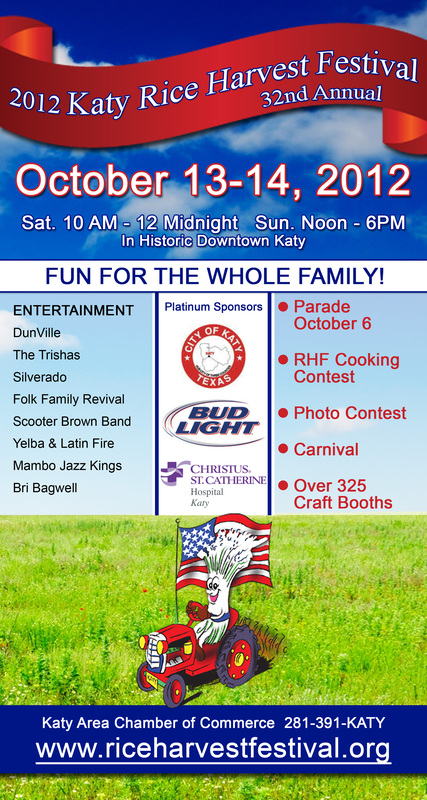 Mik’s Hidden Hearts Alliance for Teens with Dysautonomia will have a booth at this year’s Katy Rice Harvest Festival to be held in Katy, Tx. Over 45,000 people each year visit this popular family event. We thank the Katy Chamber of Commerce for supporting Mik’s Hidden Hearts Alliance and helping us to bring Dysautonomia Awareness to our community. Visit us in booth 507!